Youngho Kang was born in 1970, Seoul, South Korea. 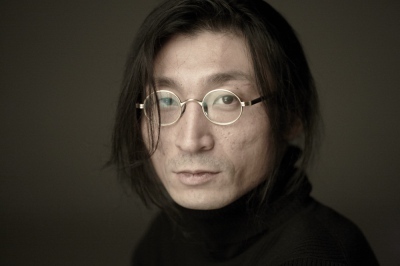 He is well known as a commercial photographer in South Korea. His nickname is “Dancing Photographer”, a nickname given to him because of his unique shooting style, which is that while taking pictures he communicates with the model through dancing, or very much as a conductor, with music always playing in the background. He graduated from Hongik University, where his major was French Literature, which means that he has no special education in photography, but he still managed to in a short time become the top photographer in the commercial area. In this case, he confesses that he was very lucky, getting chances like these. Given this, he has a powerful planning ability that is based in the humanities, which shines through in his directing ability that makes for compelling stories being visible in the pictures, as well as a unique ability to communicate, that extracts the inner, hidden expressions from a person. This, together with his luck, makes him the photographer he is. Starting in 2009, he extended his imagination towards fine art. This was the beginning of his unique works, titled “99 Variations”. In this work, he is taking pictures while facing the mirror while at the same time dancing and making changes to himself in various ways. And in 2012 he produced a unique documentary work titled “Who is she?”, in which he was photographing the President’s backside. Through this work, he extended his genre of photography. In 2014, having found his own definition of art to be “a passionate effort that only he can do”, he is going into a new adventure, in which he is reaching beyond the identity of a photographer. He held a performance work, titled “99th Variation”, where he was in-between being a photographer, a performance artist, a media artist, all kinds of artists, in National Museum of Modern and Contemporary Art, Korea. He is now working while at the same time holding lectures on the “Oxymoronic power, Imagination”, in universities. A Documentary of the first Korean female president, Park Geun Hye, "She is not only a woman, Park Geun Hye"
The children and child slavery with KBS, "On the Hope Road "
The Third generation of victims from defoliant in Vietnam, "Weapon that kills the future-Agent Orange"
Silver World Medal in "New York Festivals TV&Film Awards"
Listen to Hearts Campaign "Korean People Archive"